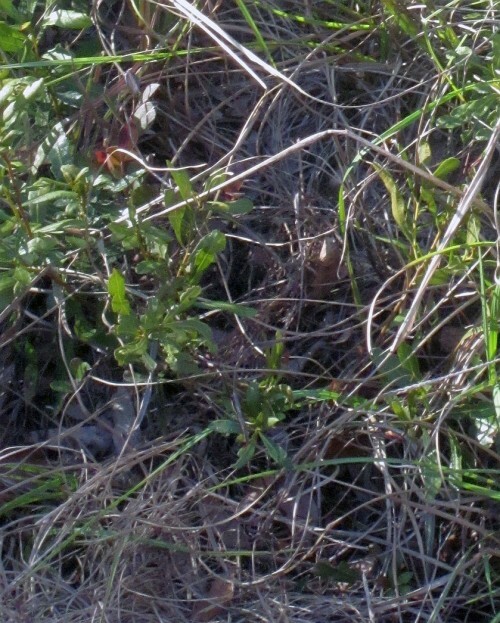 Alistair Glen of Growing Wild Nursery led a field trip at the Greentree Impoundment of Holly Shelter Game Lands. 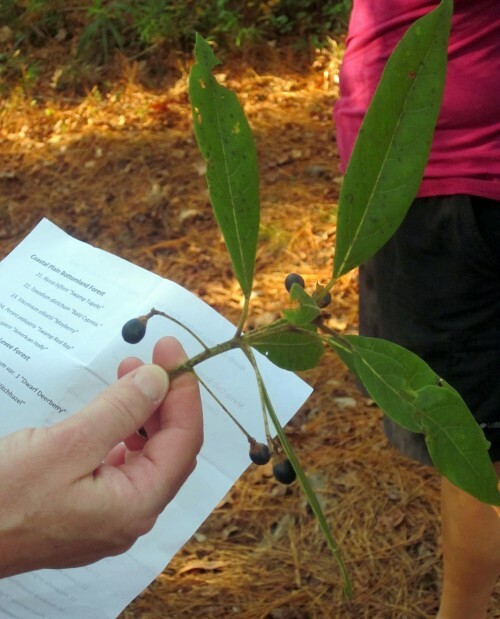 Beginning with the Shrub Oak Sandhill habitat along Shaw Hwy, we traversed Wet Pine Flatwoods/Pond Pine Woodland, Bottomland Forest and Levee Forest for a superb lesson in the dependence of native plants on specific habitats. 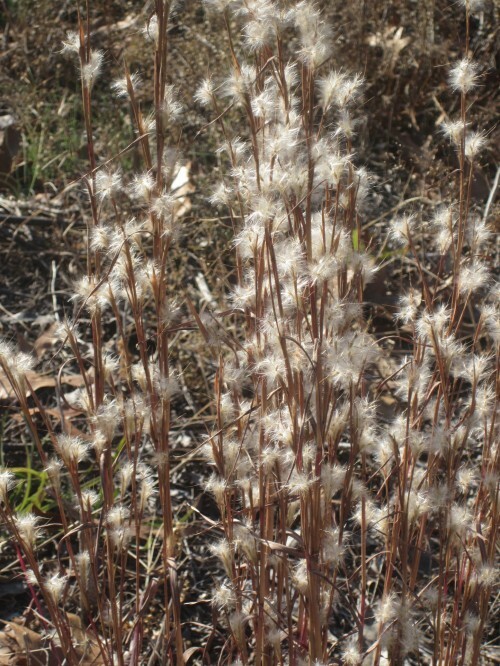 The common name comes from the white-haired seed tufts, in pairs, that remain on the branch tips all winter. 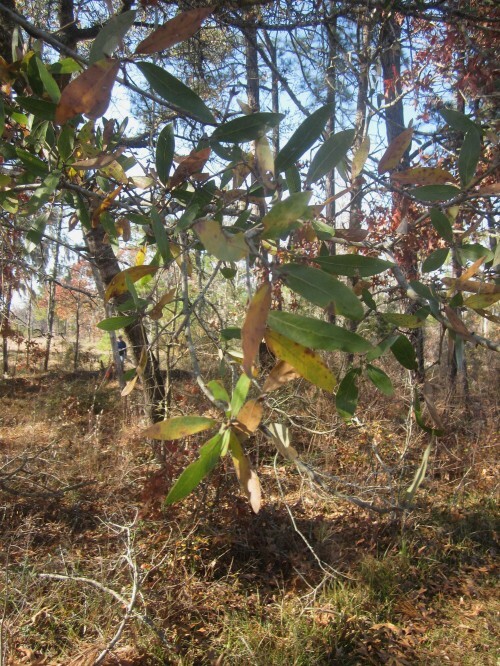 A small, scruffy tree, seldom over 30' tall, Turkey Oak is well-adapted to xeric soils of this Shrub Oak Sandhill habitat, with thick, waxy leaves often held vertically to reduce surface evaporation. Silhouetted against the sky, it's easy to see the spreading, birdfoot-like shape of the leaves that give the common name. 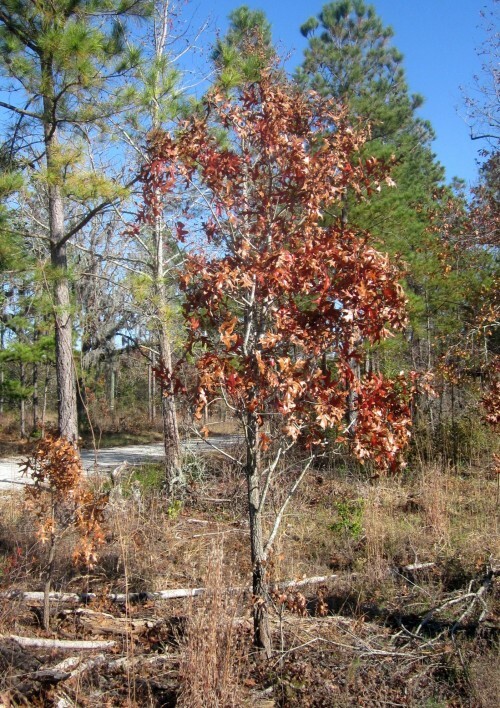 Another small (40') oak adapted to xeric, sandy soils, it has leaves with rounded lobes spread wide. 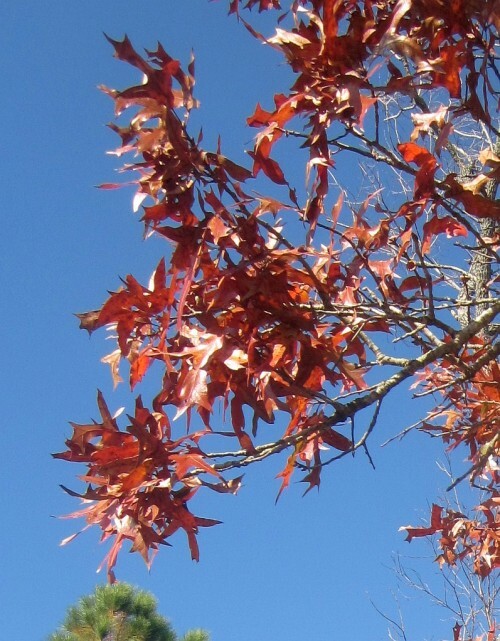 A small oak, Bluejack Oak has bristle-tipped leaves that are dull bluish-green (barely!) and pubescent beneath. 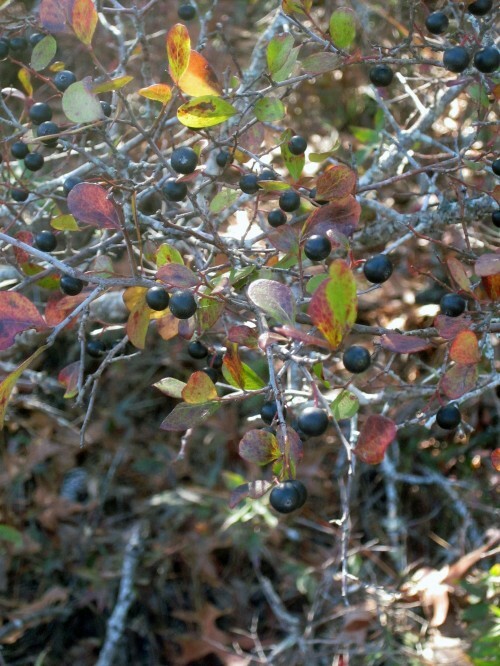 Farkleberry can grow to be a small tree (thus the species name). 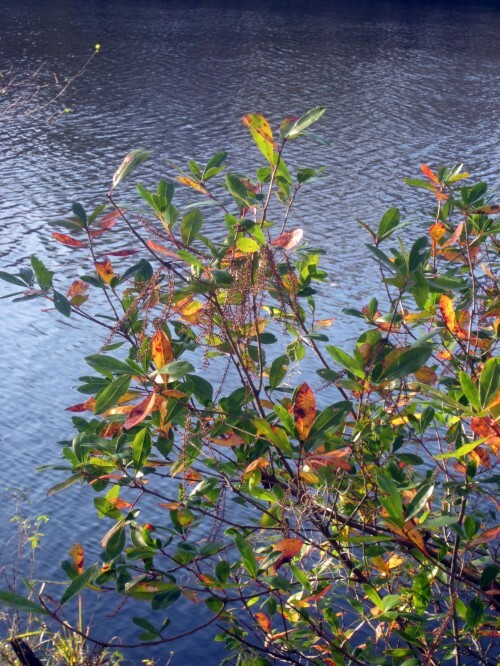 The leaves in summer are a shiny green and nearly round, turning gold, pink or red in fall. 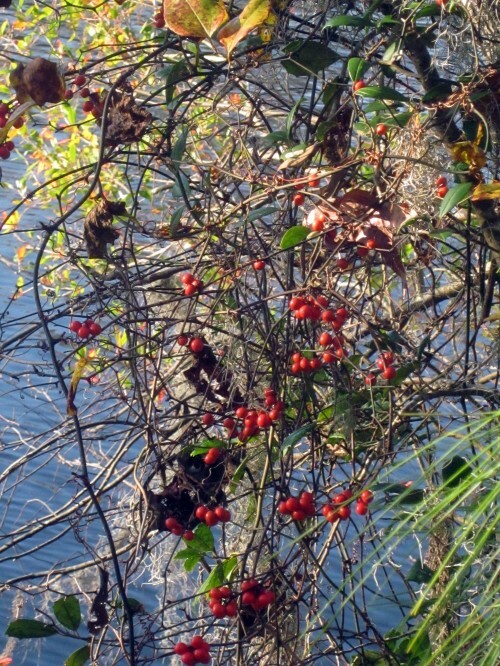 Unfortunately the beautiful berries are dry and mealy. 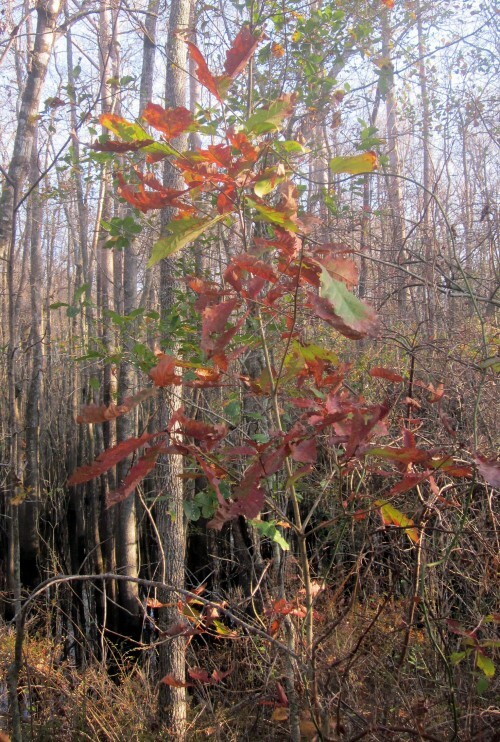 A small, scrubby, drought-tolerant oak (another! 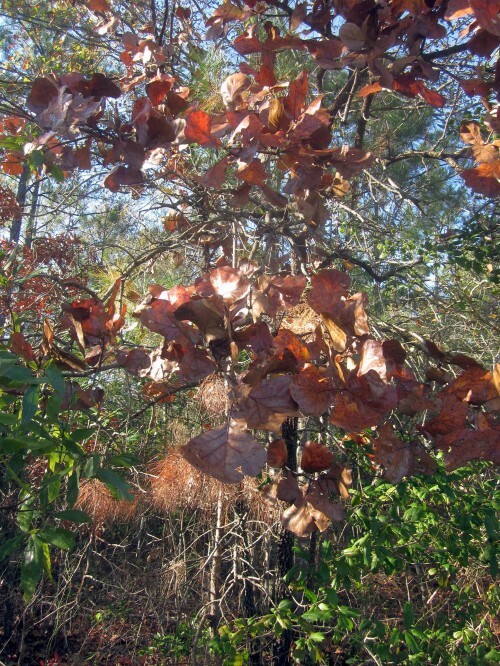 ), Blackjack Oak has broadly triangular leaves with rusty pubescence underneath. There is some controversy over this being a distinct species, however Weakley gives it species status. 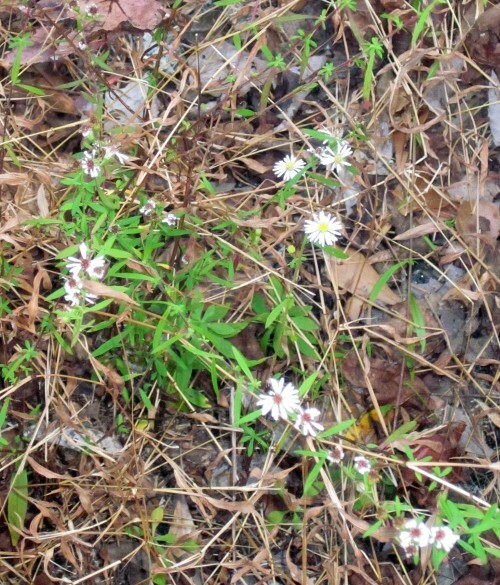 A southeastern coastal plain endemic. 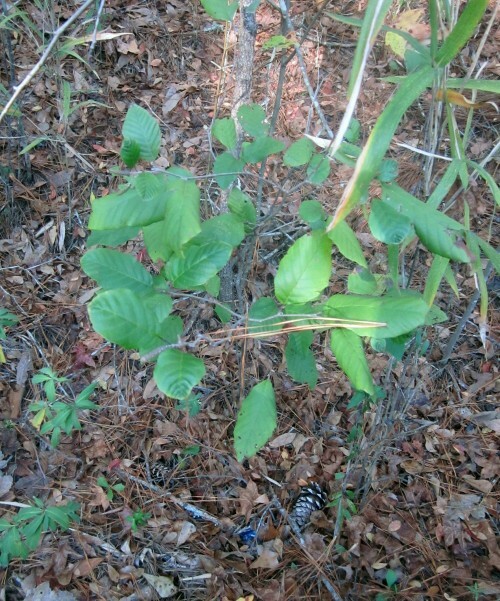 Tag Alder is characteristic of wetter soils. 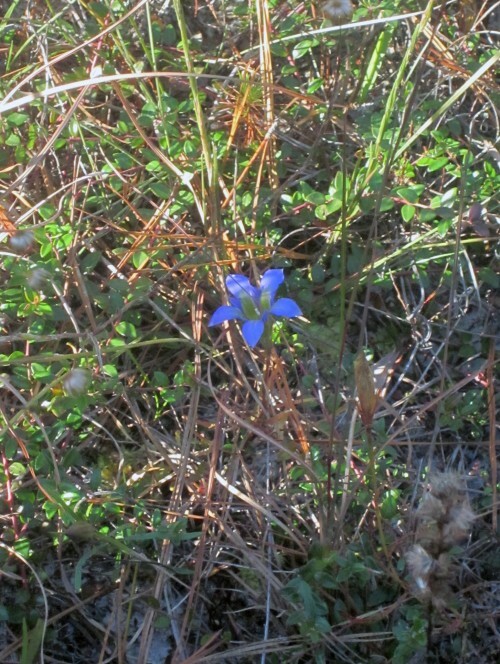 Inconspicuous out of bloom and blooming in late fall when few are out looking for flowers, Pine Barren Gentian is an uncommon, and uncommonly welcome, sight. 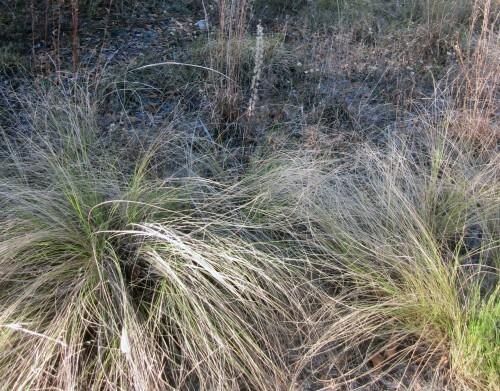 It grows in wet to dry soils, usually in association with Longleaf Pine. 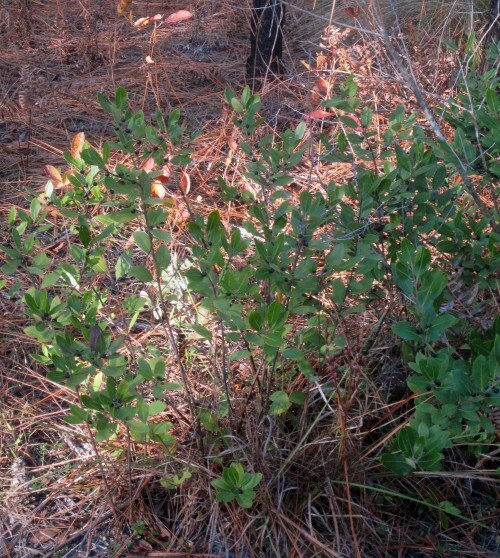 Creeping Blueberry is common in flatwood habitat and "nearly endemic to the Carolinas" (Weakley). Inkberry has leaves with appressed crenate teeth near the tips; its look-alike, Large Gallberry (Ilex coriaceae), has leaves with a few bristle-like teeth. The common names come from the large basal leaves' tongue shape and the presence of coumarin which has a vanilla-like fragrance. 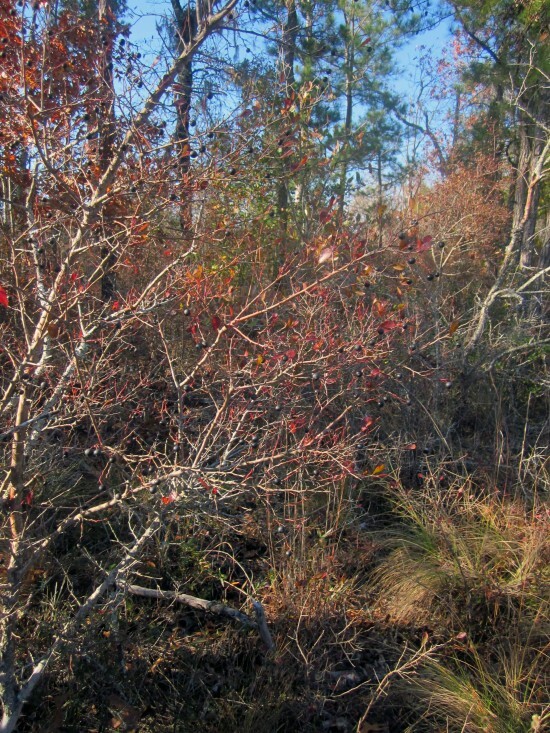 Swamp Red Bay differs from Red Bay (P. borbonia) by its hairy twigs and leaf undersides. 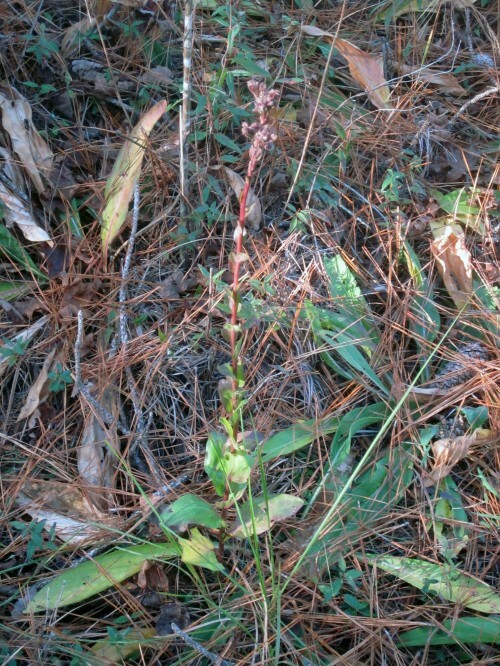 It is a host plant for the beautiful Palamedes Swallowtail. 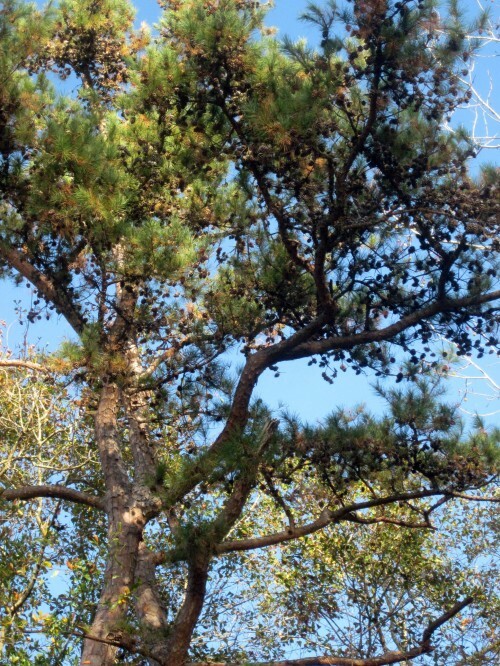 Perseas are dying from a fungus spread by an Asian beetle. 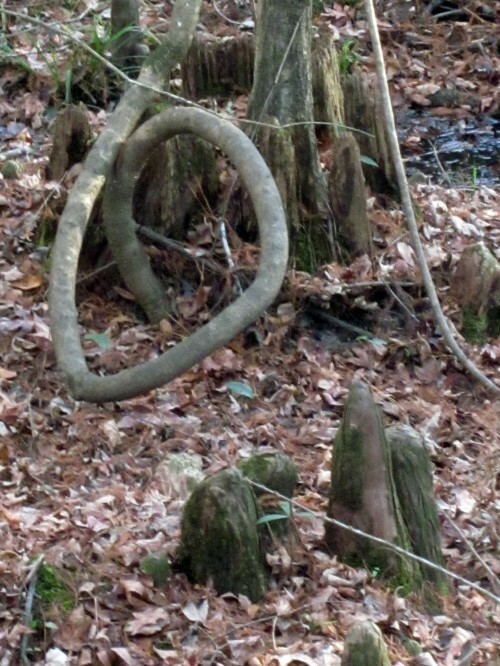 The knees of Baldcypress occur only when it is growing in water and are thought to stabilize the tree. Mayberry blooms and fruits very early. 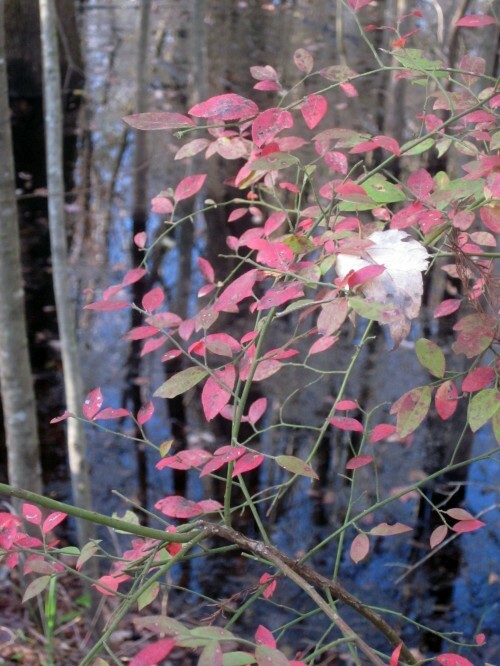 The flame red fall color is gorgeous against its green twigs. 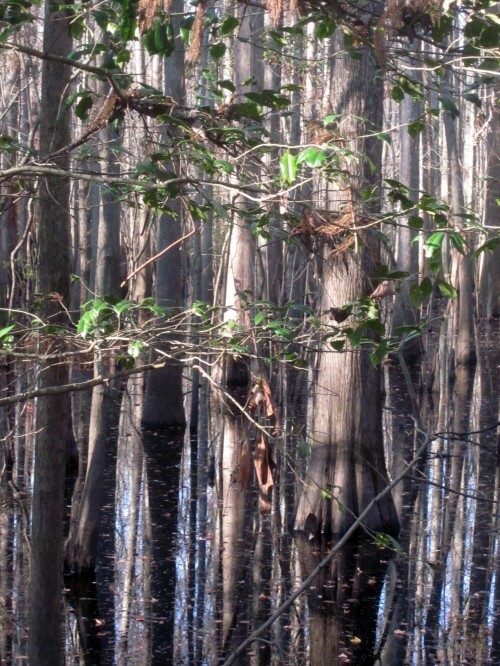 Levee Forest habitat is dominated by various wetland oaks, River Birch, and Sweetgum, often including Baldcypress as here. 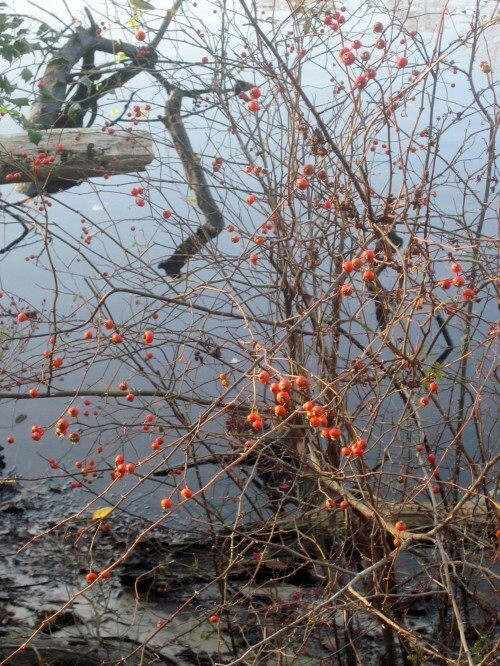 American Hollies, Ilex opaca, are a characteristic part of the subcanopy. 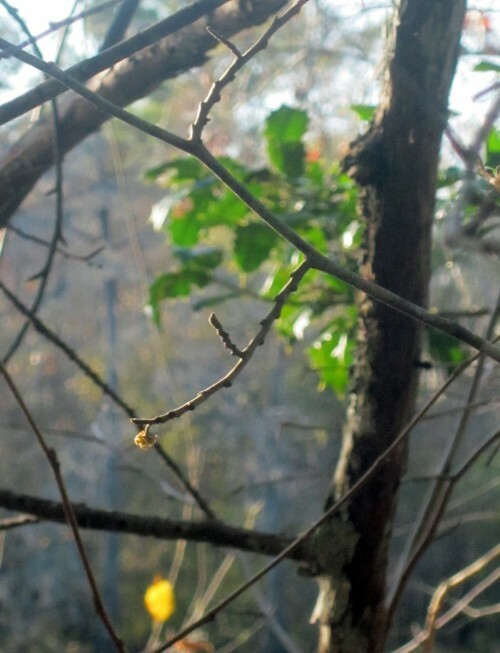 Witchhazel blooms from October to December and is pollinated by winter moths. This beautiful wetlands plant holds its dried inflorescences all winter, making identification easy. 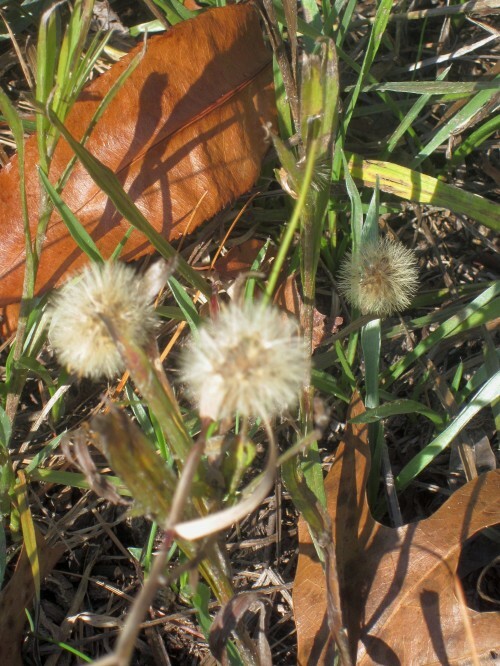 Leaves are widest 2/3 of the way to the tip and have a wavy-toothed edge. 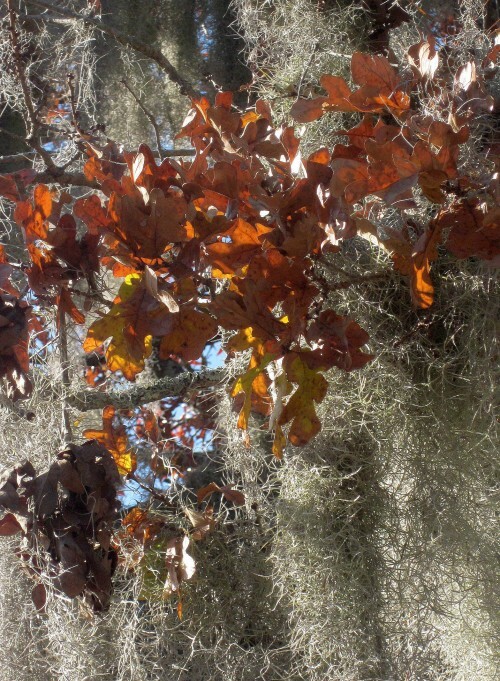 The bark varies but often has flat-topped plates flaking away on the sides or in long, peeling strips. Thanks to Alistair for his teaching skills and knowledge of native plants! 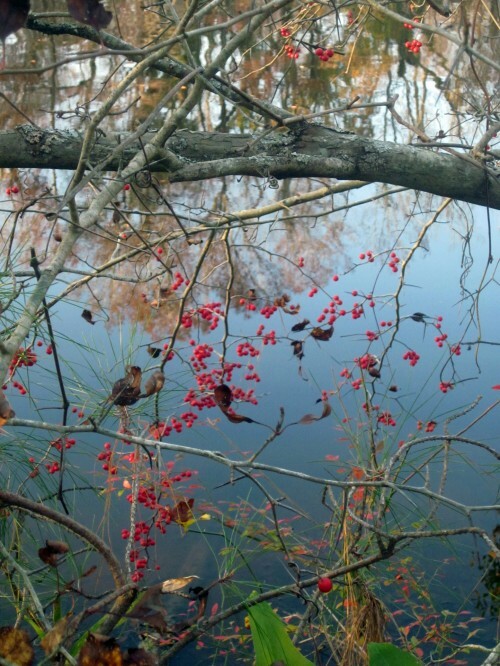 We learned from him why native plants are well worth seeking out in the late fall.